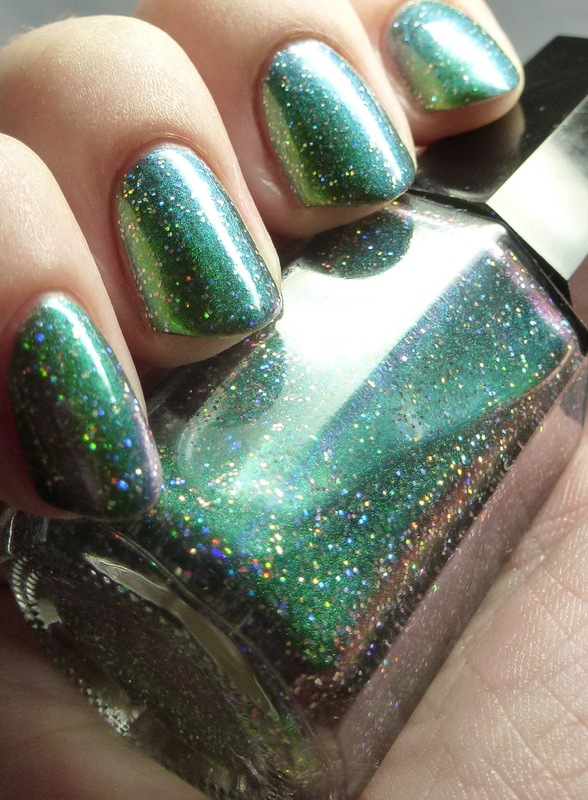 Ever After Polish just sprang on the indie scene this fall and already have some strong offerings for us. Probably my favorite so far is Elfish from the Winter Wonderland Collection, a green-purple multichrome with hex and square holo microglitter. This one dries fast and pretty smooth, and works on its own or as a top coat. This is four thin coats. The brand also has a sale on at the moment, 29% off with code twenty9 to celebrate maker Rachel's birthday! 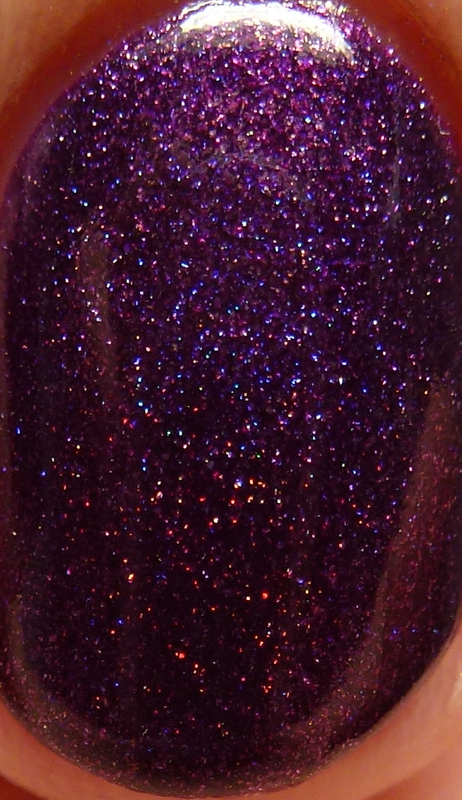 Fair Maiden Polish had an awesome debut this fall with softly-colored holos and shimmers and a couple glitters. What I love about the brand are the awesome, subtle twists - check out the duochrome microflakes in Change Your Fate from the debut Be Your Own Heroine Collection! The dark cyan base has sparks of green-blue and violet-green that make it look very rich. This is four thin coats. Glittering Elements is a perennial favorite of mine, and the maker behind it, Casey, is a friend who has made me giggle many-a-time over the last year. I love her Alluring Beauty so much that I chose it as my mani to testify in front of Congress this summer, so from a distance, you could see it on CSPAN! lol. I wanted something subtle and sophisticated to wear for the week and it fit the bill. 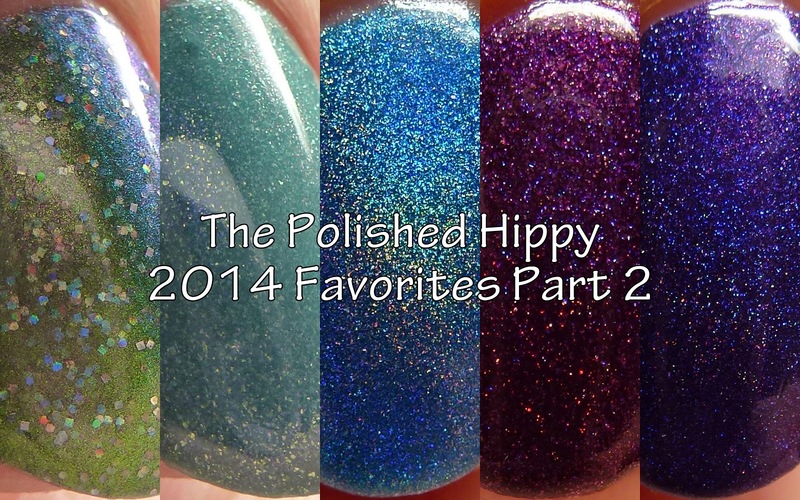 Casey produces such beautiful polishes and the formulas are spot-on. The surprising element with this one is the green microflakes in the plum base that add a lovely glow along with the scatttered holo. This is three thin coats. Casey has options to order customs and semi-customs when she opens the shop periodically so have a look! 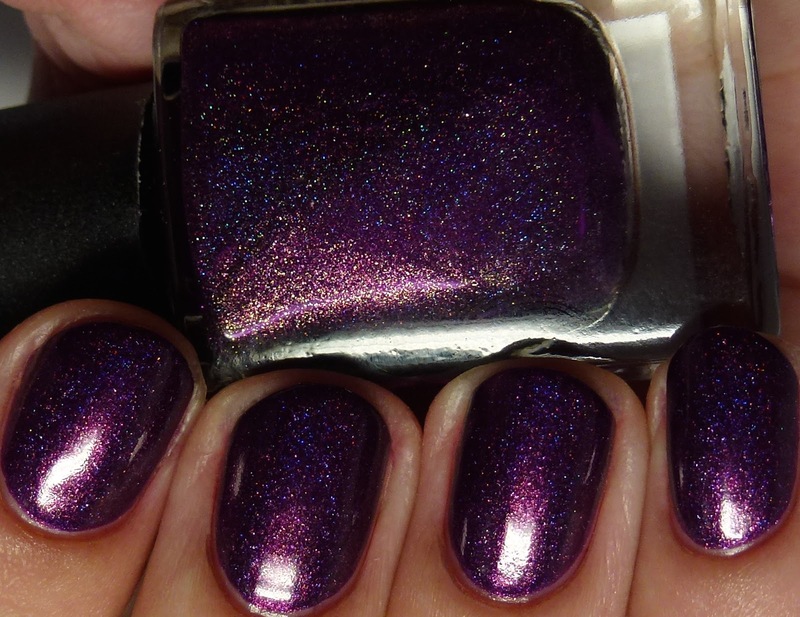 Glitzkrieg War Paint is another new indie this year and I spied Emily's jelly holos on Etsy and knew I was in trouble. 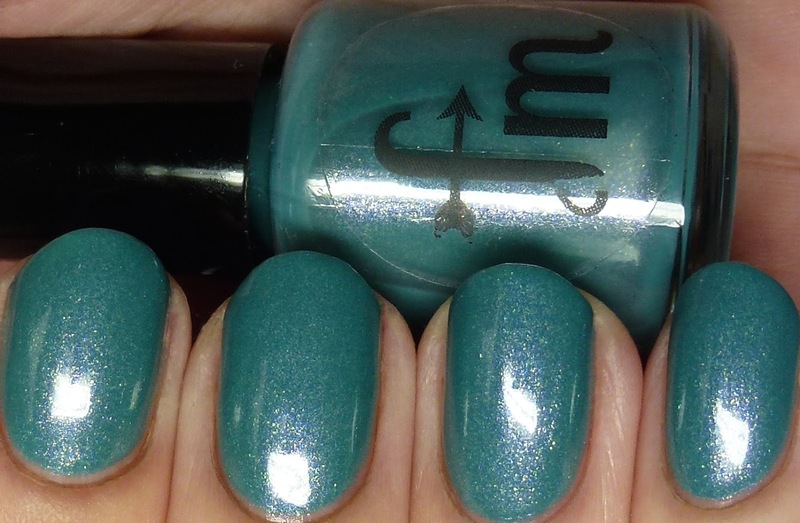 Deluge is azure linear holo that glows so much it barely looks real, worn here with four thin coats. The brand is now sold through Ella Ann Cosmetics, and various shades will cycle in and out. 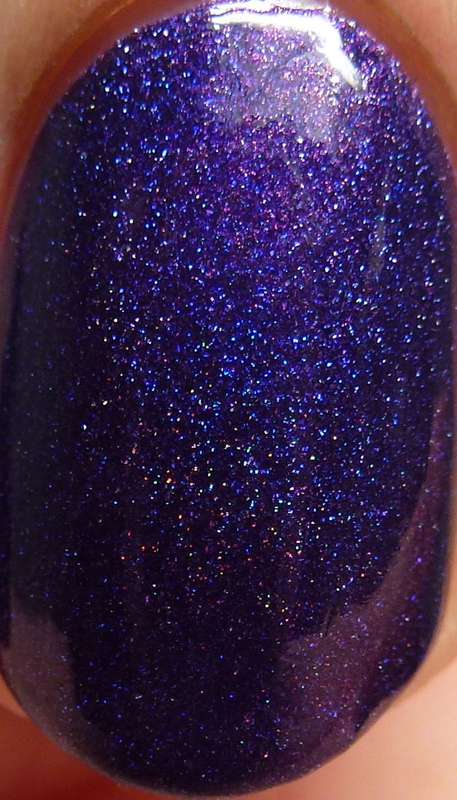 The last one for today is Lilypad Lacquer's Almost Famous. This was originally a custom for Megan of Almost Famous Nails and she generously allowed us all to share in the beauty! 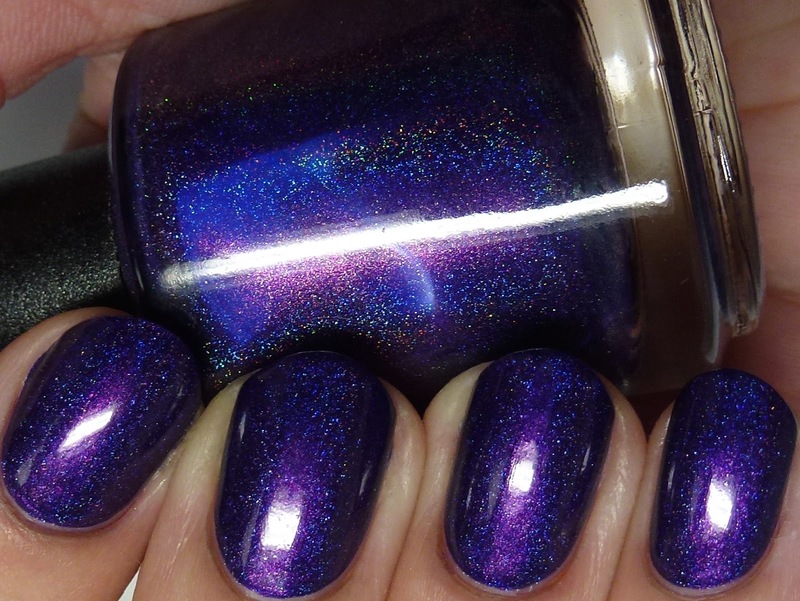 This has scattered holo and pink shimmer in an indigo base, shown here in two thin coats. Lilypad is one of my biggest indie collections and I am continually amazed at how Nicole continues to come up with so many amazing colors. My wallet is less thrilled, however, haha.